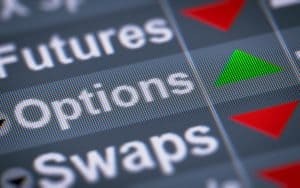 The data revealed that the number of futures and options traded on exchanges globally surged 20.2% year-on-year to 30.28 billion contracts. Futures volumes were up 15% to 17.15 billion contracts and options volumes rose 26.8% to 13.13 billion contracts. The FIA said the 20.2% increase in volumes over the course of 2018 was the fastest growth rate since 2010, with Asia Pacific and Latin America leading the way. Derivatives traded on exchanges in Asia Pacific soared 27% to 11.19 billion contracts, while Latin America exchange volume grew more than 40% to 2.78 billion contracts. In North America, exchange-traded derivatives were up 19% to 10.56 billion contracts, making up just under 35% of the global volumes. At the same time, European exchange derivatives contracts also rose 7% to 5.27 billion contracts, equivalent to around 17% of volumes worldwide. “The rapid growth in derivatives trading on exchanges around the world highlights the value that these products continue to provide for end-users and investors,” Walt Lukken, president and chief executive officer at FIA, commented. Equity index futures and options were a main driver of in the total increase in volumes in 2018. FIA’s data showed that global equity index volumes surged 33% to almost 10 billion contracts, with India, North America Brazil and Korea accounting for the majority of the increase. Interest rate trading saw its third consecutive annual record in terms of volumes, where most activity occurred on exchanges in North America and Europe, following a 15% increase in the number of contracts traded to 4.55 billion in 2018. The post Exchange-traded derivatives hit record in 2018 appeared first on The TRADE.